Welcome, and thank you for visiting Mr. Rogers Windows and Doors. If you’re looking for replacement windows, entry doors, or patio doors, you’ve come to the right place. 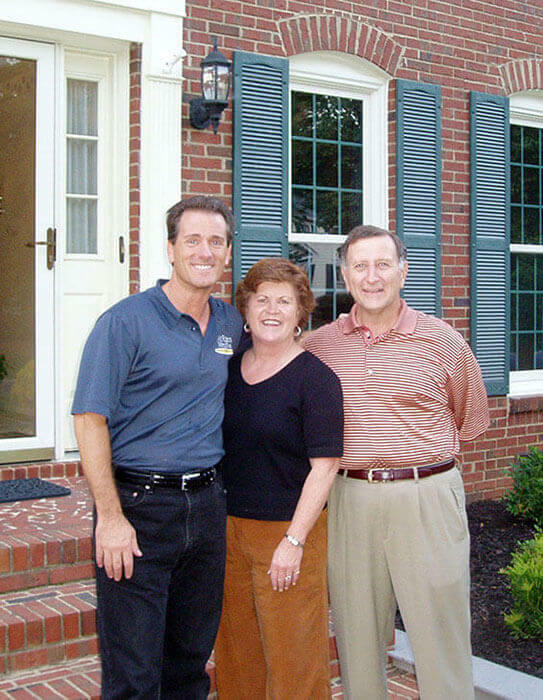 For over 30 years, we’ve replaced countless windows and doors throughout central and southern Virginia, in neighborhoods just like yours. The secret to our success isn’t complicated: We’ve always had a sincere commitment to doing the right thing for our customers and community. We’re proud to employ a considerate and knowledgeable staff, offer the highest quality products, and stand behind the work we do. It’s all part of being your friendly neighborhood window and door installation team. Our replacement windows, entry doors, and patio doors come in a variety of customizable styles and are always made to order for your home. Our windows and patio doors are beautiful in appearance, energy efficient, and constructed with Fibrex® - a Renewal by Andersen® exclusive material that combines the strength and look of wood, with the longevity and low-maintenance of vinyl. Our entry doors are made in a quaint Amish community by Provia®, combining timeless design and craftsmanship with modern materials. Your installation is just as important as the doors and windows you purchase. Mr. Rogers Certified Master Installers are expertly trained and fully insured - and we never hire subcontractors or outsource our labor. 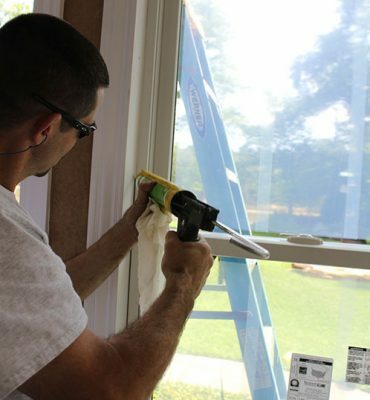 Our installers will treat your home like it was their own, and they’ll never cut corners or rush through a job. Proudly Serving: Virginia Beach, Chesapeake, Williamsburg, Norfolk, Yorktown, Suffolk, Newport News, Hampton, Portsmouth, Smithfield, Poquoson, Gloucester, Carrollton, Elizabeth City, Moyock and more. Renewal By Andersen® has been in business for 115 years, with over two million windows installed in homes to date. Their commitment to providing great looking, long-lasting products is something Mr. Rogers admires, which is why they’re the only brand of windows and patio doors we install in our customers’ homes. 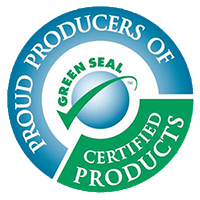 Their manufacturing processes are environmentally friendly, meeting the strict requirements of Green Seal. Their eco-friendly approach carries over to your home, as well. Renewal By Andersen®’s Fibrex® windows and patio doors are extremely energy efficient, reducing energy consumption in your home and saving you money on your power bills. We offer a huge variety of windows for your home, from classics like double-hung and casement windows, to more modern options like sliding and specialty windows. Our windows come in an array of styles and finishes, with lots of options for shape, color, stain, hardware, and grille pattern. Since your windows will be made to order, they can be customized to your heart’s content and will be custom-fit for your home. Our replacement windows are built using Fibrex®, an Andersen-exclusive composite material that combines the strength and look of wood with the low-maintenance features of vinyl. This means our windows are great looking, energy efficient, and built to be stronger and last longer than other windows on the market. 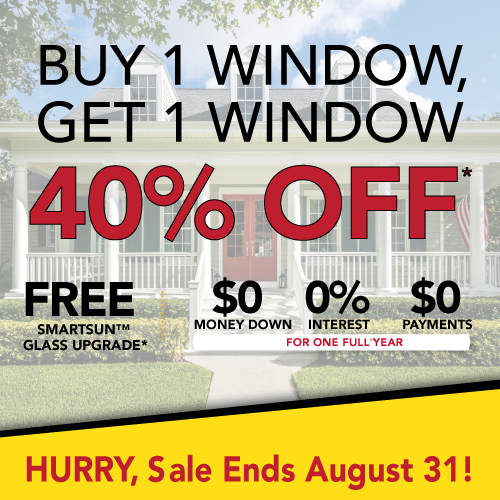 It’s everything you’re looking for in a replacement window for your home. Ready to wow the neighbors? Click below to learn more about your options! What if the products you use every day could make the planet healthier? And what if they could save you money while doing so? The replacement windows, entry doors, and patio doors available from Mr. Rogers offer superior thermal insulating properties which help your home stay warmer in winter, cooler in summer and can help you save money on energy bills. Our windows are Green Seal certified, and available with glass options that make them ENERGY STAR® certified. Compared to typical double pane windows, our Andersen® Smart Sun windows are 44% more energy efficient in the winter and 70% more efficient in the summertime. This cuts down on the amount of energy you need to keep your home at a comfortable temperature, saving you money and making your corner of the world just a little bit greener. Interested in the science behind our products? 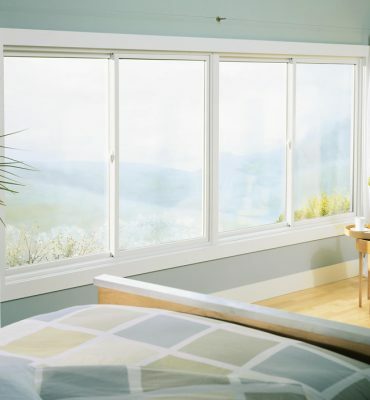 Click below to learn more about what makes our windows more energy-efficient than others on the market. 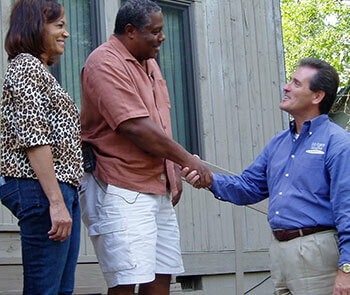 At Mr. Rogers, we’re committed to providing excellent customer service throughout Virginia. We want you to be happy with your new windows and doors, but we also want to make sure you have a wonderful installation experience, too. That’s why we maintain that great windows and doors are only as good as the installation. Every home is unique. 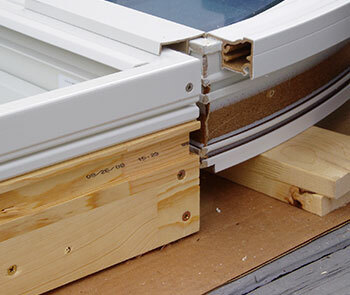 Installation of a replacement window or door isn’t simply a matter of filling a hole in the wall. 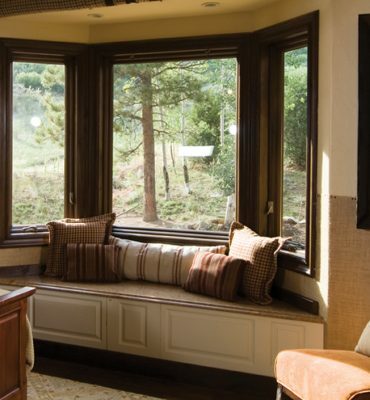 It’s a matter of expertly fitting and insulating YOUR custom-built windows into YOUR home. Our installers are master craftsmen certified and factory-trained to do that. We never subcontract our work, and our employees are paid by the hour rather than by the job. This means they’ll never be in a rush to finish an installation. We can promise you that our employees will always be professional, respectful, and courteous, and will leave your home cleaner than it was when they arrived. This is what sets us apart from the other guys. Click below to learn more about what makes our Certified Master Installers so good. 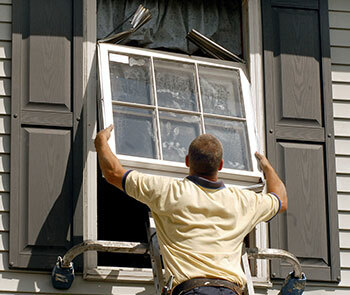 Mr. Rogers takes the hassle out of replacing old windows and doors because we are here to walk you through the entire process - from sales, to installation, all the way to post-purchase customer care. We know that ongoing communication is paramount to providing a superior replacement project experience. Our process begins with a no obligation consultation right in the comfort of your home. During this visit, one of our experienced Design Consultants will inspect your existing windows and frames, and chat with you about your wants and needs. Window types and style options will be discussed on the spot, room by room. If you aren’t sure of what you want, our consultants can provide suggestions on what will look great and stay within your budget. Once you have an idea of what you’d like to do, we’ll provide a written estimate good for one full year. We’ll discuss our flexible financing options, too. All our windows are made-to-order and custom-fit for your home. Once you decide on the styles, colors, and hardware options for your windows or doors, we take precise measurements in your home to ensure they’re a perfect fit. If you have any last-minute questions, we’ll be happy to stick around and make sure you have all the information you need. Then, we’ll send your order for your fully customized windows to Renewal by Andersen® at a manufacturing facility right here in America. Installation will always be a great experience when you work with Mr. Rogers. Our Certified Master Installers and mobile workshops provide all the expertise and tools we need for the job. Our craftsmen always take extra steps to protect your furniture and carpeting during installation, and we’ll leave any areas of your home we worked in cleaner than they were when we arrived. Since our very first customer in 1986, the foundation of our business has been based on honesty. 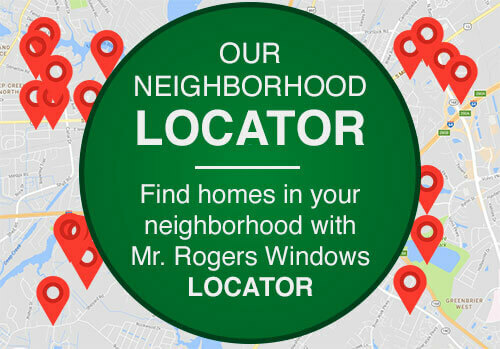 When you purchase replacement windows or doors from Mr. Rogers, you receive durable, long lasting, beautifully designed products, a professional installation from Certified Master Installers, and the highest quality customer care around. Every window is custom built to perfectly match your home, as well as your own personal style. We offer beautiful and energy efficient Patio & Sliding Doors for all types of homes. 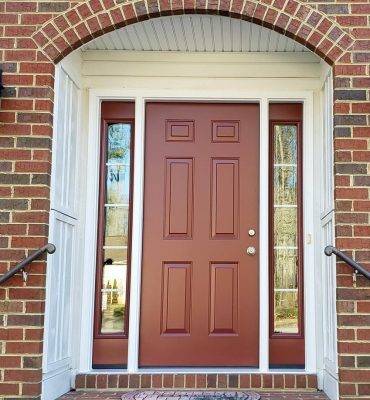 Our Entry Doors make a great first impression while providing great security and durability. We’d love to chat with you about your home improvement project. When you make an appointment with Mr. Rogers, you’ll learn the five most important factors for selecting replacement windows. You’ll get everything you need to make an informed decision. Our in-home consultations are completely free, with no obligation to make a purchase. This appointment isn’t a sales pitch, it’s a free consultation with a windows expert. We promise you we won’t waste your time and you’ll be happy you reached out to us. So what are you waiting for? Give Mr. Rogers a call today. There's always something happening in Mr. Rogers' neighborhoods! "Very impressed! especially with the installation crew. No B/S or slacking off, went right to work and got it done fast." 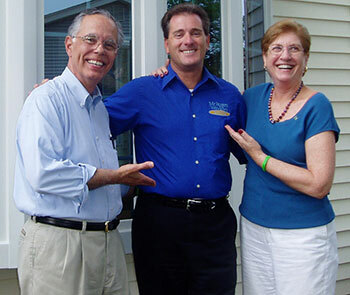 "Great people—great product—great home improvement experience. Very impressed with the quality of the installation." John Hooper & crew from Mr. Rogers just finished installing my windows today and I wanted to make sure I gave them the positive feedback they deserve; they were punctual, professional and efficient! I am more than pleased with my purchase and with the entire 'Mr. Rogers experience,' from Ashley, the salesman, to John and his crew. I had previously conducted extensive research and received 4 estimates on replacement windows, but I was turned-off by the vinyl product ... I wanted to do this right the first time, and I wanted a company that was going to be around in 10 years. What is it they say, "You get what you pay for ..."